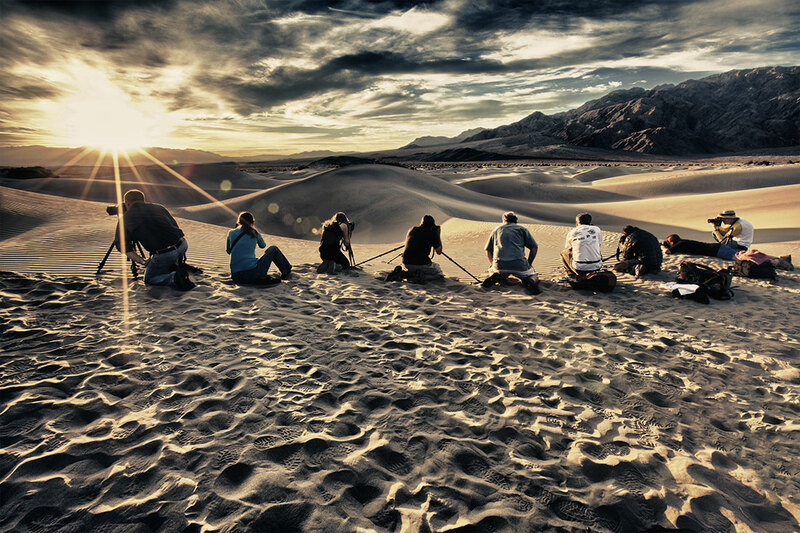 I have done workshops all over the world but absolutely love what Death Valley has to offer. Doing workshops in this amazing location gives people the chance to expand their horizons with their photography and hang out with others that share their passion. Just being out after dark, learning how to capture the night sky and chilling out under the Milky Way is incredibly addicting and ever time we are there it is different. I will be showing many different images from past trips to give everyone ideas and to help push their creativity and feel more comfortable with where and when we will be shooting. There won’t be a lot of sleep on this workshop as we will be out late and up early and be totally immersed in trying to capture this pretty special part of the US. • How to shoot the stars as points of light & star trails with multiple exposures. Please click on this linkto read more about the Amazing Death Valley for 2014 workshop on my blog, which also has more photos and more info on the workshop.